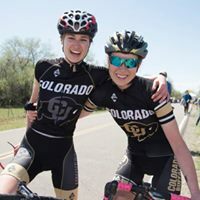 As part of our mission to develop and grow grassroots cycling in Colorado, the Bicycle Racing Association of Colorado (BRAC) is committed to supporting women+ racers. As many women+ are fairly new to the sport, we suggest that all new racers consider joining a club to find support, training tips, carpooling to races, and options for coaching, equipment, and improvement. 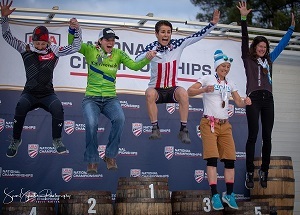 The Women’s+ Development Committee is committed to helping eliminate barriers to entry to bike racing for women, trans women, femme, gender non-binary, and gender non-conforming cyclists. Our goal is to build a community of bike racers, to learn from and support each other, and create safer, inclusive spaces for the femme/trans/women’s community (FTW). The BRAC board of directors decided upon “women+” as a way to address the folks within this community. BRAC's Women"+ Development Committee sent out a 14-question survey to all BRAC-registered women+ racers in an effort to learn how best to serve women+-identifying racers in our community. You can read the survey report here. An evening where fellow women+ cyclists can get together, learn about bike racing, and socialize with current bike racers. The day camp will be open to all women+ interested in racing. Includes getting to know each other, discussing the basics of racing (licenses required, teams, training, categories, nutrition, warm-up, etc.) and skills (cornering, braking, accelerating, riding in a group, and communication). Teams throughout Colorado to lead monthly rides. The goal is to grow interest and awareness of women’s+ bike racing in Colorado. BRAC will offer clinics to Cat 3-4-5 at $10 per person that will instruct riders how best to race and prepare for different disciplines such as time trials, hill climbs, criteriums, and road races. 50% off race entries to Cat 5 racers. 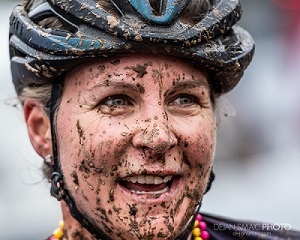 Read the outline of the Women’s+ Racing Initiative Program here. We’re excited to announce opportunities to help create the cycling community you want to see. BRAC is currently recruiting for our first ever Event Planner Fellow, Monthly Ride Leader Recruiter Fellow, Race Clinic Coordinator Fellow, and BRAC Ambassadors to assist in our inaugural Women’s+ Racing Initiative. These roles are responsible to make an established range of decisions and are responsible in reflecting BRAC’s commitment to our cycling community. These are the perfect opportunities for enthusiastic and confident individuals who wish to expand upon their knowledge across a wide range of skills and expertise. To apply for a position, please send an email including your resume, the position, and a quick note about why you’re interested to women@coloradocycling.org. Read more about each position here. See the BRAC website for the list of all active teams and determine which ones include women. Contact the team director of each, inquiring whether they have available space for additional athletes and/or whether they accept riders of your category (Some teams accept Cat 4/5 women+; some do not). Attend a race and speak with the women+ in your event about their teams- ask what they like and do not like, and how you can go about joining their team. Some teams require references or recommendations from current members, on behalf of new members. Networking at the events is a great way to get your foot in the door. Consider speaking with officials or event promoters - ask the people running the events which teams they like or speak highly of. Talk to your coach or other coaches to see which teams they recommend. Keep in mind that most teams select their rosters in the fall for the following season. If you are applying for a team mid-season, or at the beginning of the calendar year, you may find that everyone has filled their roster and they are not taking on new riders. Ask if you can add your name to a wait list or if you could guest ride with the team at an event. Most important, try to seek out teams that mirror your goals, whether it’s having fun, socializing, racing on a very serious level, serving the community. Be sure you find a good fit so you can align your own goals with the team’s (otherwise, it can make for a very long season!). Suggestions posted by Megan Hottman. .